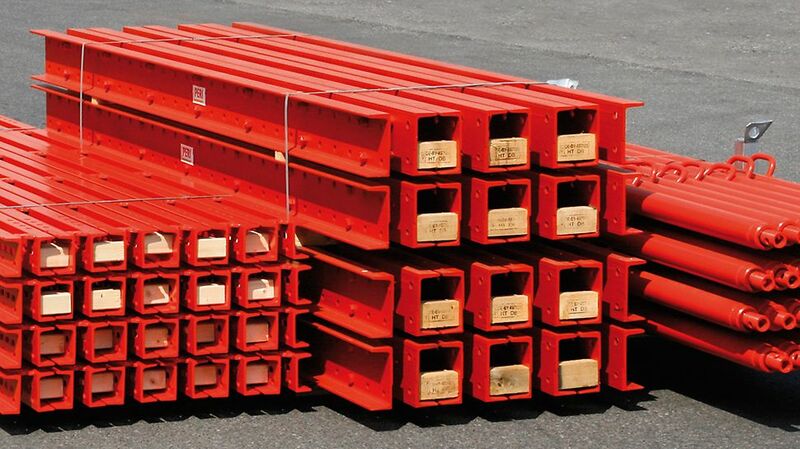 VARIOKIT offers standardized components for a wide range of applications in civil engineering. 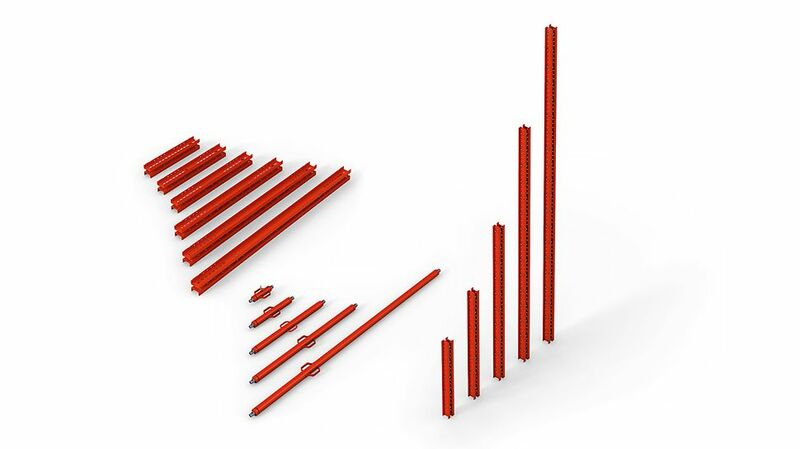 The construction kit includes versatile core and supplementary system components with system specific functions. If required, specific special components are also designed. 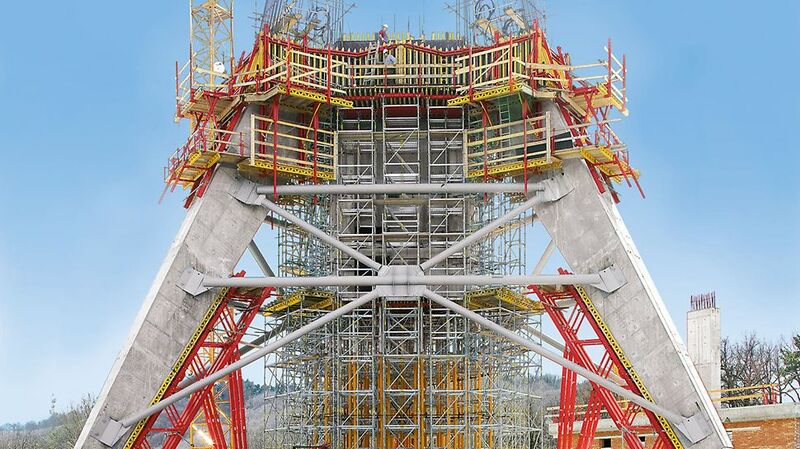 Due to the possibility of combining with PERI formwork and scaffolding systems, this results in customized, economical bridge and tunnel formwork as well as other civil engineering solutions. 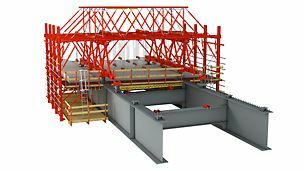 With the VARIOKIT standard components, technically demanding trusses and load-bearing systems can be cost-effectively executed. In order to minimize on-site assembly times and maintain tight construction schedules, PERI also provides – if required – pre-assembled units to the construction site. Being able to rent the components along with the assembly advantages makes VARIOKIT extremely economical especially with short utilisation times. 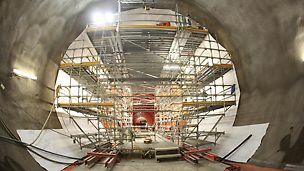 With VARIOKIT system components, cost-effective tunnel formwork carriages can be realized which are precisely adapted to meet the needs of the respective jobsite. Requirements such as drive-through openings for trucks or single-sided wall formwork are easily fulfilled. 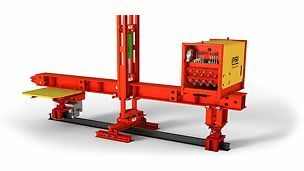 Additional components for lifting, lowering and moving are likewise available in the rentable PERI portfolio as are safe working platforms and access means. Required technical accessories, e.g. concrete pump connections, complement the VARIOKIT solutions. 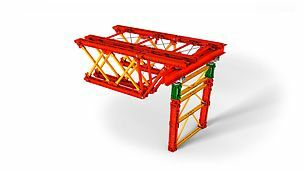 The VARIOKIT Engineering Construction Kit includes suitable system solutions for bridge superstructures and cantilevered parapets. 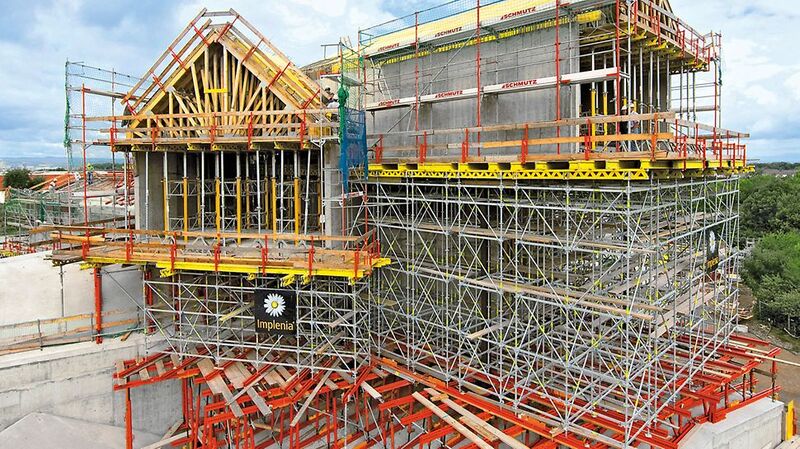 The portfolio ranges from lightweight brackets through to complete formwork carriage and equipment solutions. With VARIOKIT core and system components, heavy-duty shoring towers and wide-span lattice girders can be systematically assembled. 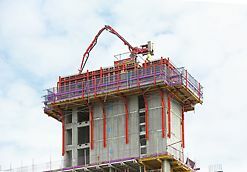 Also for other construction tasks where high loads are to be transferred, VARIOKIT is the optimal system. Providing the overall solution from one source ensures optimized processes during the course of the project. 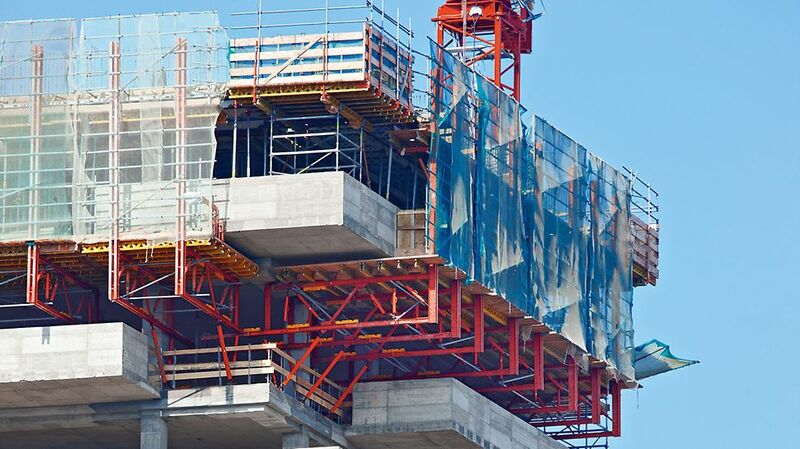 Through the connection possibilities for the PERI UP modular scaffold, secure access to all working areas as well as the required working surfaces is easily integrated. Interested in using VARIOKIT for your project? Call us on 01788 861600 to discuss your requirements further. Alternatively, click here to use our 'Contact Us' form. One of the most significant infrastructure projects ever undertaken in the UK, London’s Crossrail is a high-frequency, high-capacity service enabling faster travel across the capital. 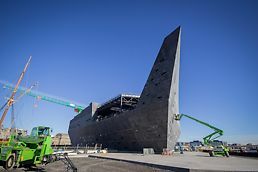 Positioned at the centre of Dundee’s £1bn waterfront regeneration, the V&A Museum of Design will showcase the best of Scotland’s design heritage. The 19-storey tower forms part of the larger Hollis Croft student housing development, approximating a total cost of £63 million. 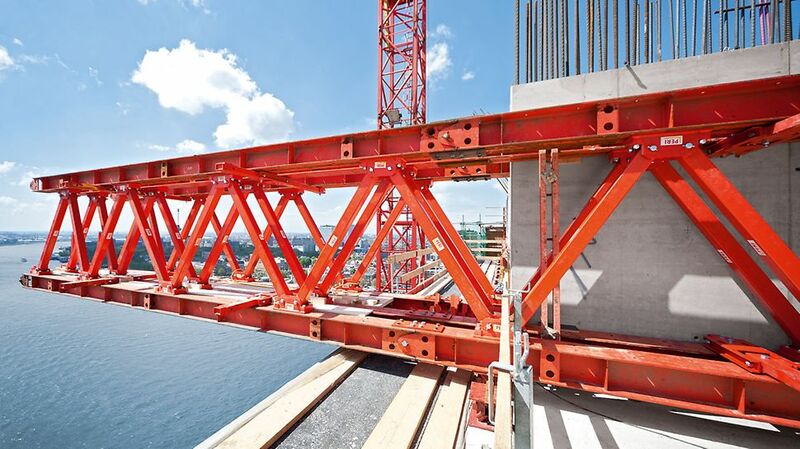 The shoring system for heavy loads in bridge construction and special applications in industrial construction. 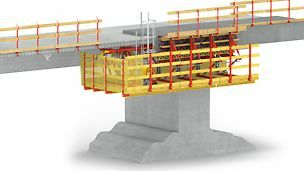 Mobile or stationery solutions for composite bridges — with the VARIOKIT modular system both are possible.